The three-day event, during October in Boston, will include cutting edge technologies such as social robots, voice interfaces and digital therapeutics. As more and more hospitals are deploying a range of smart and connected technologies to improve care and efficiency, it's increasingly important to preserve and highlight the human side of care. That's the overarching theme of the upcoming HIMSS Connected Health Conference in Boston: "Balancing Technology and the Human Element". 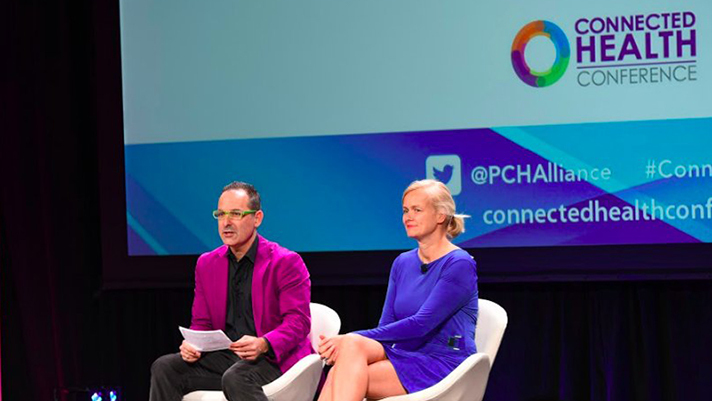 Kicking off on Oct. 17, CHC18 will be the second year of the event's new incarnation: a merger combining the best parts of the PCHAlliance Connected Health Conference and the Partners Connected Health Symposium. The presenters, demonstrations, and panels at Boston's Seaport World Trade Center will tackle the theme of balance by looking at cutting-edge areas like artificial intelligence, social robots, voice interfaces, and digital therapeutics as well as more established emerging technologies like telemedicine, remote patient monitoring, and patient-facing apps. Day 1 will forego the normal pre-conference day for an "Immersion Day" where participants can choose from a variety of all-day deep dives. PCHAlliance will host "Standout Startups", a full day workshop for digital health developers and entrepreneurs that culminates in the Health Tech Standout! Competition between 10 health startups. Parks Associates will host a morning session on connected health and the Internet of Things. And an afternoon session will zoom in on the importance of behavior change in digital health: how to understand it and how to make it happen. In addition, three co-located events will be onsite: The Society for Participatory Medicine second annual conference, the first VOICE Health Summit focusing on voice technology in healthcare, and "Humanize Digital Health Towards the Digital Health Society," an internationally-focused workshop. For the rest of the event, PCHA and Partners have a mainstage lineup that includes Partners Vice President of Connected Health Joe Kvedar, and HIMSS CEO Hal Wolf — as well as Wired Magazine contributor James Vlahos, NIH’s chief engagement officer Dara Richardson-Heron, MD, MIT Media Lab's Personal Robots Group and robotics startup Jibo founder Cynthia Breazeal, Cityblock Health founder and CEO Iyah Romm and Oscar Insurance CTO Alan Warren. In between the keynotes, attendees can check out a wide variety of breakouts, main stage presentations, and demos at the Innovation Lab and themed pavilions dedicated to topics like digital therapeutics and emerging technologies. Connected Health Conference 2018 will give healthcare stakeholders a chance to see what's new in the world of healthcare technology. But more than that, they'll learn what those technological trends mean and how to smoothly integrate them with the human side of care. The Connected Health Conference takes place Oct. 17-19 in Boston. Register here.